The company directors have a combined 30 years’ experience working with children and young people within the following settings: Primary and secondary mainstream and special schools, alternative education provision, local and regional sports development, local and national league sports coaching and senior youth and play work. This has helped to build an extensive level of knowledge in the development of successful and proven social and emotional learning interventions and systems. In 2011 we created 50-50 SYNC, a micro Community Interest Company (CIC) or social enterprise. Our social mission is to skill youth through social skill-based programmes and interventions and to utilise our expertise in technology. This will enable our product to be networked within different communities and platforms via digital solutions while making it safe, malleable and scalable. Our campaign is called ‘unlocking the undiscovered potential in every child’ as we seek to support many more children and young people through 50-50 LAB. 50-50 LAB is a successful attitude and effort enhancing, character skill based, personal development system. It is designed to improve an individual's attitudes and efforts, whilst embedding key learning processes. The basis of the system is to enable every child to experience and feel the benefits of being acknowledged, recognised, praised and rewarded for their efforts and attitudes towards tasks and learning objectives. The process helps every child to self-regulate, self-assess, self-reflect and build self-efficacy. The technology enables the system to be implemented seamlessly within different school, sport and home platforms. The LAB system captures these learning opportunities and outcomes, giving them a value and stores them where the child can self-reflect and then make better informed decisions. Teaching staff use LAB School to embed, monitor and measure character skill-based education, improve pupil engagement, establish good working ethics and enhance teaching and learning outcomes. Parent/carers use LAB Home with their children to embed social skills, improve behaviour, reduce anxiety and build confidence. Sports coaches and club leaders use LAB Sport or LAB Club to help embed, monitor and measure social skills, improve engagement, build positive attitudes and establish stronger teamwork principles in children and young people. 50-50 LAB also helps to eradicate deep rooted, and sometimes generational, negative mindsets towards education, sport and employment. It also supports the mental health and well-being needs of vulnerable children and young people, by building their confidence, resilience, reducing anxiety and improving concentration and focus. We’re developing 2 new applications, LAB Club for non-sporting groups and an application for young people designed to make them more employable called 50-50 Profile & Attitude Development (PAD). 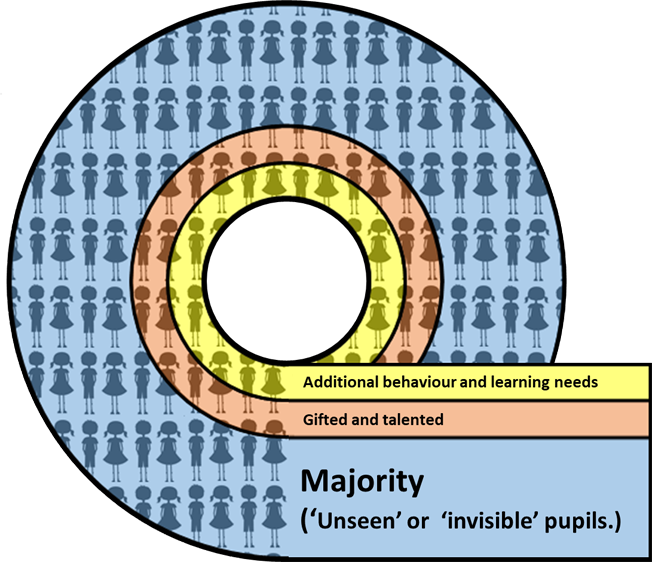 Find out how 50-50 LAB supports everyone, including the 'unseen' or 'invisible' pupils.